Citizen science - When people around the world are saying: “what can I do to help?” LOW established a citizen science program for water sampling. Swim Guide is a beach information service to answer the question “Where can I swim?” Swim Guide provides up to date water quality information for over 7000 beaches in 5 countries. Over 1 million people use Swim Guide to find clean places to swim. Challenge - ‘The average Torontonian spends 80 minutes a day commuting’ the 2nd worst commute time in North America next to L.A. Solution - TEACHERS! STUDENTS! TIME TO DUST OFF THE BIKE! Learn how to oil a chain, fix your gears, tighten your brakes, replace a cable, repair a flat! 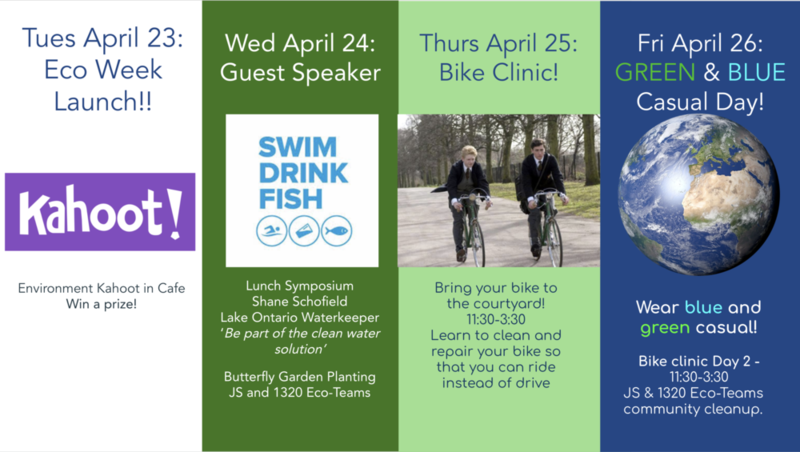 For Eco-Week, The York School Eco-Team invites you to come to the Courtyard with your bike for a Bike clean and maintenance clinic where a staff of trained student bike mechanics from CultureLink will help you spiff up your bicycle for a relaxing summer of riding glory! Room for 25 bikes a day so sign up fast and show up with your bike! (No bike? No problem! Skills learning available even if you don’t have the wheels). April 25 - For EcoWeek! April 26 - For EcoWeek! Cost? FREE!!! CultureLink will have 6 bike stands at the ready and the cloths and the oil and the tools and the know-how. Replacement parts, such as flats, fenders and cables will cost extra. No time yourself? Leave your bike behind and get it back squeaky clean for smooth riding! Bike donations are also welcome. Bike Clinic generously provided by The York School Fund. 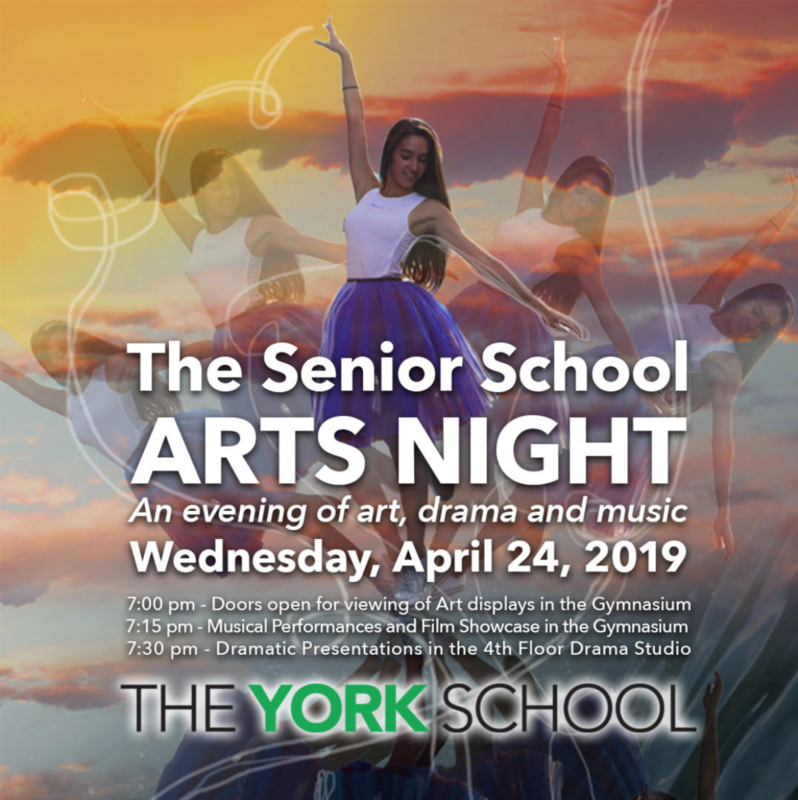 Join us for an evening of art, drama and music! RSVP here.